Most business owners that operate today are aware of the importance of having a high-quality website. Whatever business activity you want to perform on the web, and you’ll have to do something on the web in the 21st century, your website will play a central role. If you want to market products or services online, your website will be the perfect place to do it. But your website is only as good as is your ability to attract people to it. It doesn’t matter that you built the perfect website with the perfect copy and the perfect products if no one is there to see it. 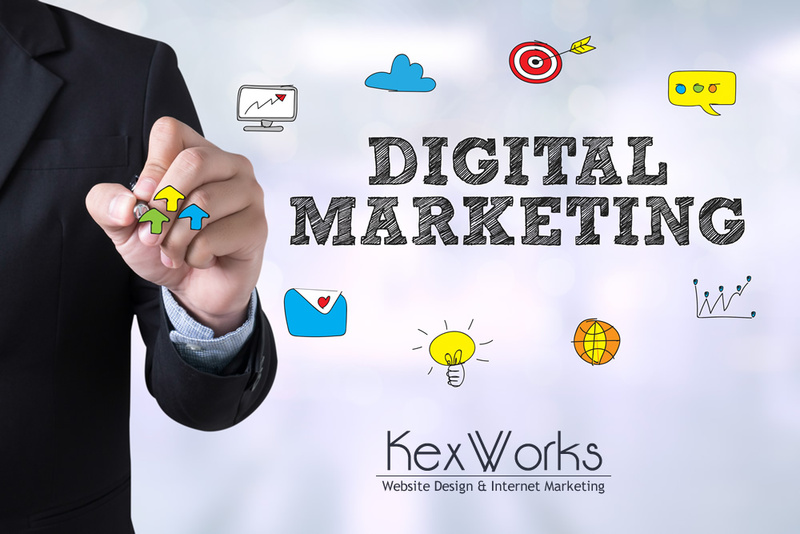 The best way to ensure your website reaches all the people who might be interested in what you have to offer is to invest in digital marketing. And that leads us to the question: which digital marketing strategies are most effective? Let’s look at the top three contenders. According to marketers, social media marketing is the undisputed champion of effective digital marketing. You can’t find a digital marketer who doesn’t use social media. Soon enough, you won’t be able to find a regular person who doesn’t use social media, too, which is one of the reasons why social media marketing is so effective. But it goes beyond the size of the audience. It’s incredibly easy to get started with social media marketing. Social networks are usually very marketer-friendly, which means that they have some sorts of tools you can use to gain insights into your audience. They also offer the option of paid advertising, which might be worthy of your consideration. Social media is a great place to achieve direct contact with your customers, and it can be leveraged effectively to increase customer loyalty. Social media is also a great channel to disseminate your content, which is a perk that shouldn’t be underestimated. Content is king, as you might have heard. The truth is that there’s nothing like content when it comes to grabbing the attention of an audience and trying to keep it for as long as possible. Content comes in many different forms, but the engagement pyramid has articles on the top, with video and photos following. There are two important traits that make content marketing so great. It is versatile, which means that you can create a type of content for any goal you want to achieve. You want shares? Create infographics. You want backlinks? Create long research pieces. You want higher conversion rates? Create how-to videos or case studies. There really is a type of content for anything you need. The other thing that makes content so great is that it plays incredibly well with other marketing strategies. Great content will make your social marketing efforts much more effective. You can improve the results of your email marketing campaigns by devising interesting and useful content. Content is the cornerstone of non-pay digital marketing. That also means that there is a lot of content already online, which only means that you have to ensure that your content is better than anyone else’s. So, no pressure. The use of marketing technology, of martech, has been booming the last couple of years. With the increased competition, marketers have been turning to everything that could give them a competitive edge. Martech is one of these things. You have probably already come across at least one form of martech. If you have ever automated your email marketing campaign, for example, you used marketing technology. The fields where martech thrives include mobile marketing, display marketing, search and social advertising, optimization and testing, social media monitoring, and sales automation. And we can only expect martech to become bigger and better as the technologies behind it improve. AI and machine learning are no longer the technologies of the future, and the way we use them in digital marketing is by harnessing them for martech solutions. These are the three digital marketing strategies marketers believe are the most effective. There are also other strategies you might wish to try, such as search engine optimization, email marketing, and paid advertising. But if you are looking for the most bang for your buck, these three are the ones you should look into first.